What Are Young People Teaching Me? 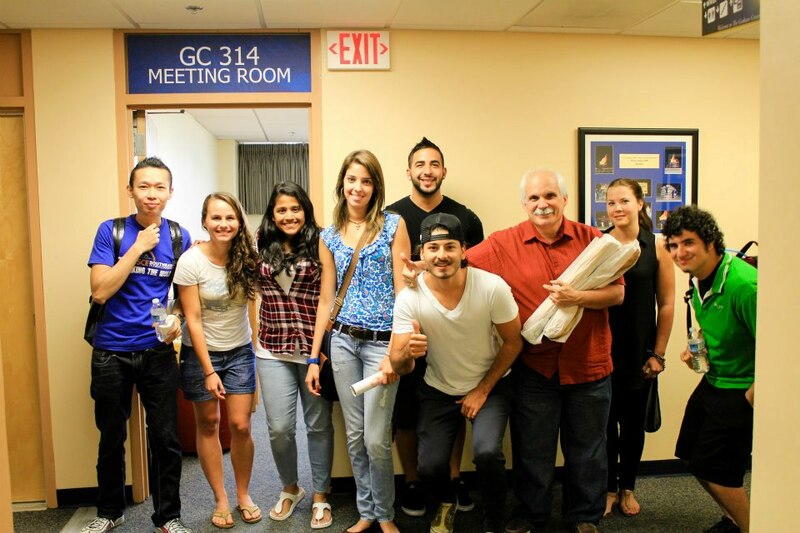 Our church, has been blessed to go to Florida International University (FIU) on numerous occasions with a homemade meal and hang out with some of the great kids who attend. I remember my university days, and that eating an occasional homemade meal was worth than gold. The folks at the Wesley House Campus Ministry make our visits possible. Part of what Wesley does, is to give students opportunity to know each other and discuss matters about God informally over a good meal. I’ve met kids from Nepal, India, China, the Caribbean and South America. I was a bit tentative when I went to FIU. Since 2004 I have been heavily involved with the church. Doing mission trips to, and later moving to East Africa, our emphasis was on the church. Now back in the USA as a pastor, my focus has continued to be with the church. I had lost contact with the unchurched world. The unchurched world of the 90’s is different to the unchurched world of the 2000’s. The American 90’s were a time of prosperity. There was little need for God. America was resistant to the gospel. People were busy making money and segregated along political and social fronts. With the launch of social media the world has become a huge amalgamated melting pot of people who have a great wish to reconnect by socializing. It’s quite a phenomena which cannot be neglected. The ghettoized lines between, liberals and conservatives, gays and straights, and atheists, Christians, and Muslims are being erased. The self-sufficiency of the last decade is being exchanged by the realization that the guarantee of jobs after college, or a booming capitalist economy are gone. The integrity of the USA political system is at its lowest ebb. Leaders with godly convictions, are an endangered species. Activist judges abound, who issue verdicts along political lines and not righteous integrity. The churches’ prosperity teachers, which sadly turned off many, are now the rare birds. The unchurched are no longer going to church to hear another religious message or an appeal for money. The America of today, is much more assimilated along social lines. Our nation is unknowingly coming back to God’s design for people. I don’t see the hunger for God that I see in Africa. I do see a fresh hunger for authenticity, relationships, a need to be heard and accepted. I see a world that is hungry for fathers and mothers. The new generations are shunning divisions and labels. They are also shunning church for the sake of going to another meeting. People are looking for authenticity, reality and genuine relationships. The media tells me that Christianity is dying in the USA, but they are wrong. Never did I meet disparagement or scorn when talking about God at FIU. Nor did I see walls come up with my remarks about God. Most young people do not wish to be politically correct. They are looking to intelligent discussions and relationships as they carve out their destinies. For us who profess Christ, we must step out of our Christian ghettos and into a world that is seeking authenticity, belonging, and genuine relationships. As a Christian, I do not compromise my beliefs, and I express them boldly, but in love. I don’t think that those around me want me to relinquish, politicize or sweeten them. People are attracted to those who are willing to pay the high price to stand by their convictions. I went to these luncheons with a 90’s mindset to be pleasantly surprised. The independence and arrogance of the last decade have been replaced by the authenticity for honest relationships of this one. People are people who want to know Christians as people before they know them as Christians. I believe that you will be pleasantly surprised like me. Guess where I am? At an FIU luncheon with some great kids!